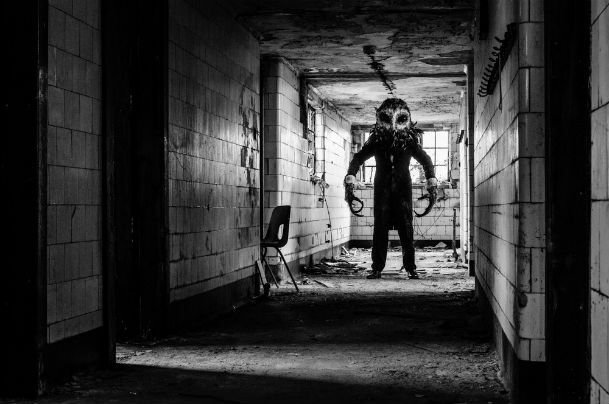 Through tireless effort, including viral videos featuring his undeniably eerie Owlman creation, Scottish director Lawrie Brewster has managed to create quite the grassroots awareness for independent feature Lord of Tears. The macabre, Scottish mansion-set movie has since garnered acclaim from horror publications and hits from audiences who love to watch unsuspecting bystanders freaked by the gentlemanly creature. Brewster and co-writer Sarah Daly have punctuated their success with another hidden camera piece, this time filmed in the halls of an abandoned morgue. The director spoke to Shock about the video, as well as previewed his next two features in a most showman-like manner.